Initial setup: Understanding the Body: the most important link in the development of a young student is the early lessons, as they set the stage for a strong foundation and all future learning. Important fundamental steps include discussion and observation of a child’s first lessons as well as a beginner group lesson, and hands-on experiments with ease of physical motion principles. Establishing a Beautiful Tone: how to teach bow stroke technique for beautiful tone will be addressed in a systematic way using scales, etudes and repertoire from the first lessons through to advanced levels. Pathways to Accurate Intonation: the physical and aural skills (theory/ear training) needed to build a strong foundation for accurate intonation. Understanding Shifting: preparatory exercises for introducing shifting, different types of shifts, and developing shifting with sequential repertoire and etudes. Developing the Vibrato: principles of vibrato and finding the best way to help individual students create and develop a beautiful vibrato. Correcting of Bad Habits: these popular sessions cover an in-depth study of a systematic way to correct incorrect beginnings in a student’s playing. Participants will have the opportunity to demonstrate and study various Kreutzer etudes in hands-on instruction with workshop faculty. Interesting repertoire for each developmental level. “Triangular energy” arising from the roles of students, parents, and teachers. Small steps which result in huge strides: sessions on the role of the parent, on motivation; ideas and structure through repertoire and performance and practicing activities. Hands-on Instruction in mini-master class settings will focus on the pedagogical aspects covered in discussions and individual participant needs. Workshop activities will also include observations of faculty working with students at all levels of proficiency, an internet session for string pedagogy resources, and a session on setting up a studio. A few evenings are free to explore the many summer events that take place in Milwaukee. 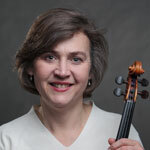 Darcy Drexler is Director of the String Academy and teaches string pedagogy at UW-Milwaukee. She has performed recitals throughout the US and is an active chamber musician and clinician. Her students are performing and teaching across the US. Previously she was a member of the Dallas Chamber Orchestra, Sinfonia da Camera, Hawthorne Quartet, the Killington (VT) Music Festival. She has taught at the Indiana University Summer String Academy, the Wisconsin Conservatory of Music and the Illinois Wesleyan University Suzuki Program besides giving classes in Brazil and China. 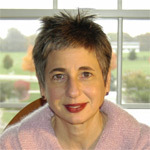 Mimi Zweig is the Founder and Artistic Advisor of the String Academy of Wisconsin, and Professor of Music and Director of the Young Violinists Program at Indiana University. Since 1972, she has participated in the development of children’s string programs across the United States. Her students have won numerous competitions and are playing in orchestras, teaching and performing throughout the world. University housing available (request on application form).